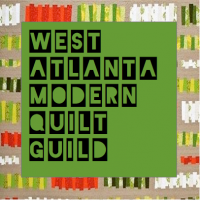 I am really excited about the challenge our local guild (West Atlanta Modern Quilt Guild) is doing with another local favorite, Blend Fabrics! Blend was kind enough to give us prints from their Hip Holiday line - each participant got 10 10" squares (one of each print). Even though the finished projects aren't due to be revealed until our October meeting I'm already having fun planning what I want to make. So far this table runner is a front runner but modified to be longer and narrower with some gray quilter's linen for the "solid". If you have any small-ish project or scrap project I'd love to hear about them! I also have all the "scraps" from cutting the squares which I think might make some lovely coasters or string blocks...oh the possibilities! So much fun. Beautiful fabric you have to work with! Fun! these might be a good use of the scraps..